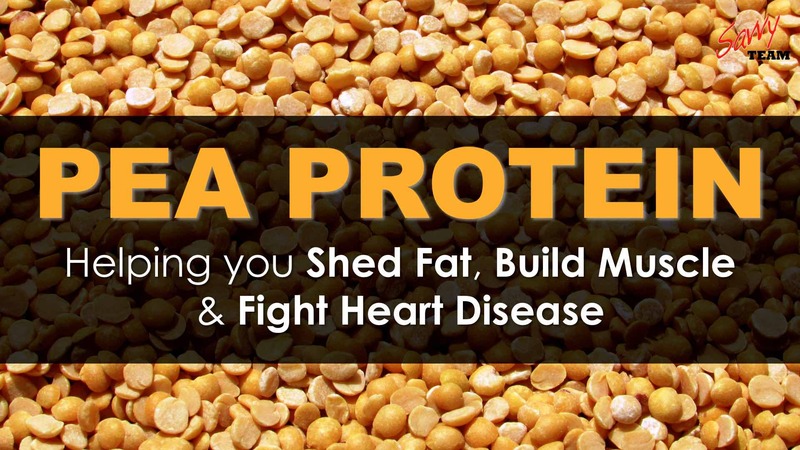 PEA PROTEIN: ‘7 Perks’ of this Allergen-Free Muscle Builder! Check out any fitness magazine and judging by all the attention protein supplements get – it would almost appear that protein intake = fitness! There’s a bit more to the story than that . . . however there’s no doubt that protein intake does support healthy muscle mass and an improved body composition. Protein is a macronutrient found in many foods such as meats, dairy products, nuts and beans to name a few. It’s comprised of amino acids, the building blocks of lean body tissue that promote healthy skin, hair, bones, fingernails, as well as muscles. Whilst we encourage that you obtain the bulk of your protein needs from whole food sources (such as encouraged on the ‘Eat Savvy Diet’), protein supplements (as well as green superfood supplements) can make it easier to boost your protein intake as well being sure that you are getting an array of amino acids for the repair of all your body tissues. With a balanced, superfood-rich diet, you can theoretically consume enough protein foods to keep your body in ‘tip-top’ condition. On the other hand, ‘real life’ has a tendency to get in the way and some days, fully preparing a protein-rich meal can be a hassle. That’s why smoothies and shakes with protein powder are a great option, augmenting protein intake with minimal time in the kitchen. However, not all protein supplements were created equal and some can produce nasty side-effects for many people – like bloating, digestive upset and flatulence.